The headboard of your bedroom doesn't need to look boring and unoriginal. Our team of professionals at homify included 8 easy DIY headboards in this feature, with the hope that your decor will become eclectic and unique, whether quirky decor is your cup of tea, or perhaps a modern version of shabby chic. 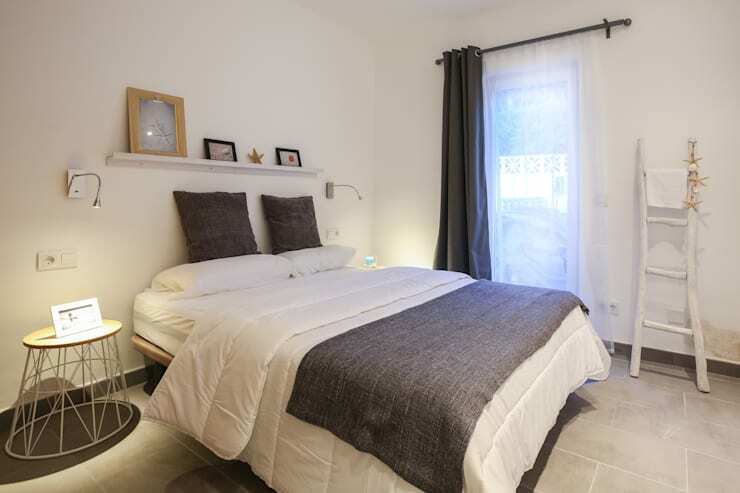 Let's have a look at these simple tips and tricks to decorate your sleeping quarters in sleek style. Start thinking about colours to suit your personality! 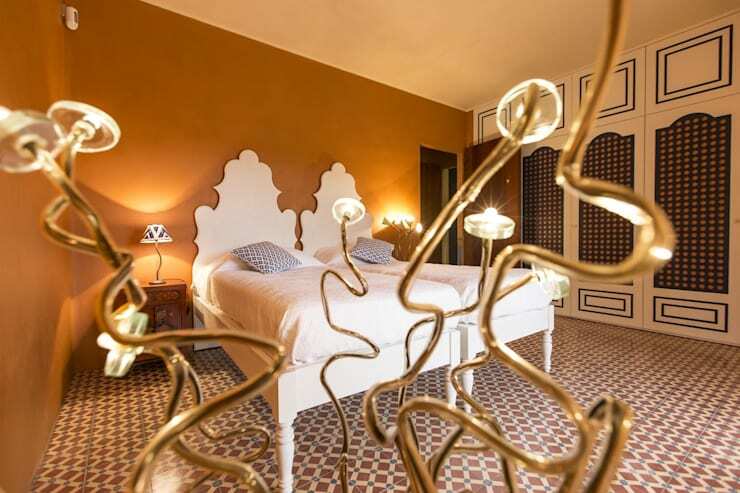 These single beds have been pushed together for an eye-catching effect, the all-white bed against the darker wall with golden features has a vintage hotel atmosphere, great for those who love everything old-fashioned. 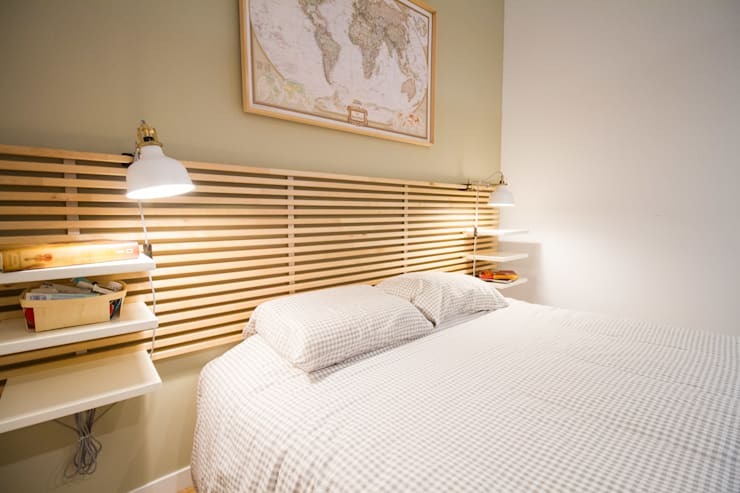 Wooden slats against a light green wall is excellent for a minimalist decor, now what do you think about the creative bedside tables? 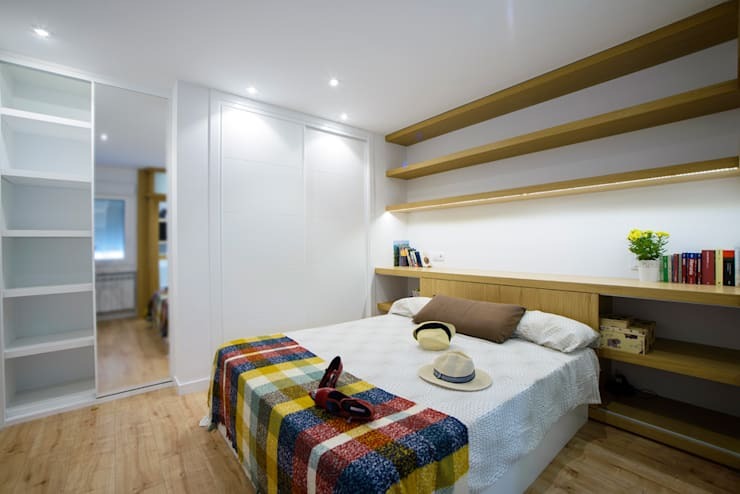 Storage is an essential component of bedroom decor, so you may want to consider a simple shelf above your bed as an alternative to a headboard. This is an awesome spot for keepsakes and mementos and won't take up much space in a small room. Be creative with your headboard and opt for something extraordinary! 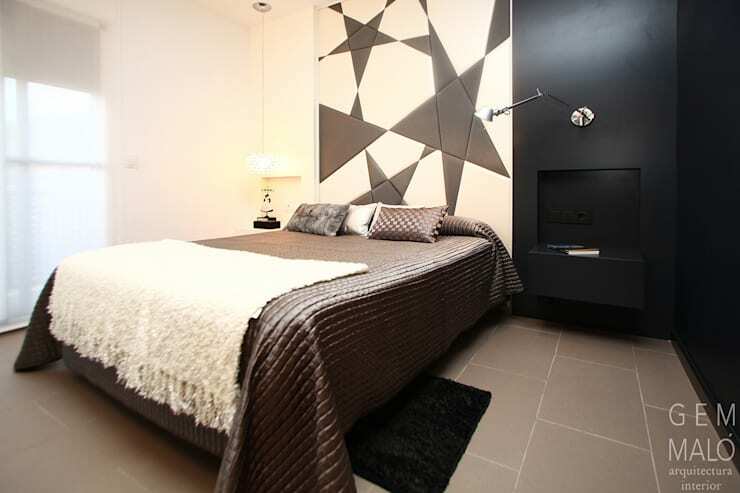 This monochrome wall has been decorated in stars for an amazing effect that is easy on the eye too. 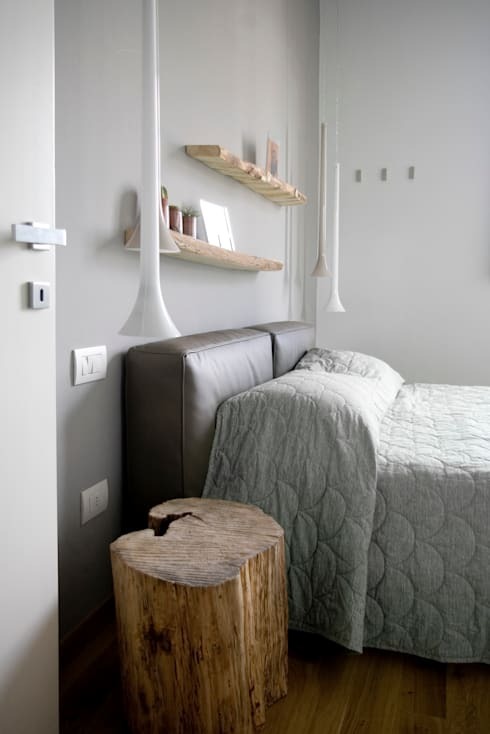 The headboard here is comprised of a few wooden shelves. It's a fresh yet fitting decor option for a house at the beach! 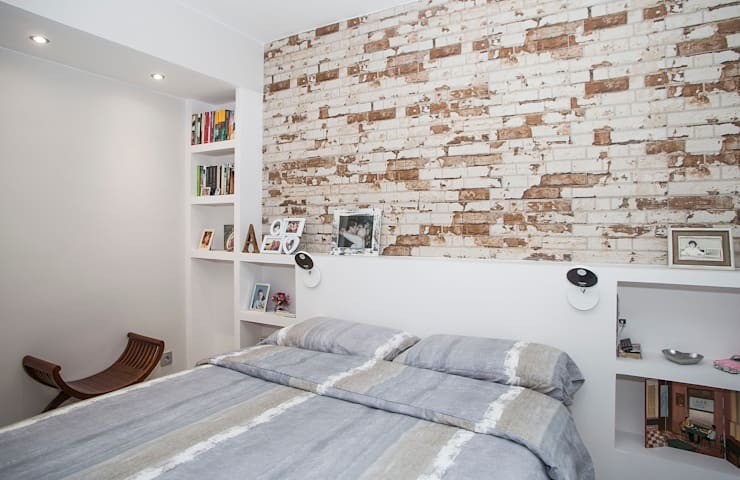 An exposed brick wall behind a white headboard is simple, practical and elegant, creating the perfect contrast for a rustic design that is aesthetically appealing. Include a bookshelf too, and your favourite items will be at hand just in time for bed time. Wooden pallets are easy to come by and perfect for your upcycled decor. They also make excellent headboards, but require some sandpaper and varnish to be usable and stylish. 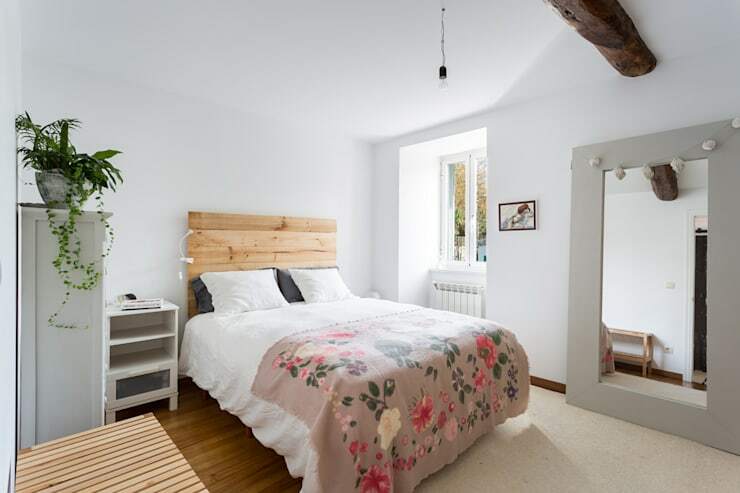 The colour of the wood stands out against an all-white wall. Our final headboard is an oxblood colour leather. It's padded for ultimate comfort and blends wonderfully with neutral shades for a cosy and inviting bed. You cannot go wrong with leather for its trendy appeal and long lasting quality. How about these Simple DIY kitchen ideas? Do you have an ideal headboard choice?